Could your Charlottesville apartment use a fresh start? Could a new look or a breath of fresh new style remind you of your love for your living room? Apartment decorating trends in 2019 highlight modern, clean designs and simple new ways to include a little extra pizzazz in your apartment. The most popular trends in 2019 display a return to post-modern and art deco design. Curves have returned to living room landscapes, adding creativity with new and vintage seating boasting curving lines and rich textures. Vintage shoppers will want to check out Circa in Charlottesville, or shop online at Joybird and Room & Board for a wide choice of chic and functional modern selections. Clean lines continue to dominate modern decor, particularly in smaller spaces and apartment homes. Classic designs shine with modern appeal, donning trendy gold and metal accents that reflect the current infatuation with surfaces. Designs with modern classic appeal also retain charm with age. 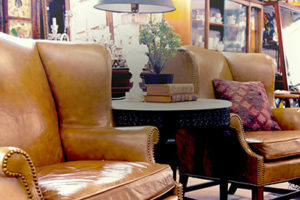 Charlottesville apartment residents can discover unique classic choices at The Artful Lodger, or shop online from Crate and Barrel, IKEA and Pottery Barn for an even wider selection of pieces. Nothing rejuvenates a space like a fresh coat of paint. This year’s on-trend palettes feature moody blues and rich greens and bright, colorful accents that pop. HGTV and Sherwin Williams’ 2019 Color Collections make it easy to experiment with the matte black and rich greens of the moment while including pops of unexpected color for a decidedly modern touch. Finishing a room in 2019 is an expression of individuality, focusing on art displayed in gallery style. Large, bold art pieces are a creative way to create an accent wall filled with eye-catching color and design. Collections of several smaller pieces framed in a common style create texture and add interest. 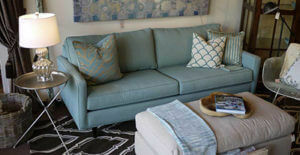 Colorful geometric patterns are appearing on pillows and rugs, lending texture and bright color. Terazzo topped tables are a 2019 favorite, introducing style and functionality to the coffee table. 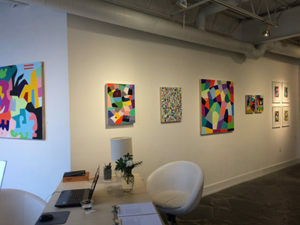 Bring home some outstanding art for your Charlottesville apartment rom Chroma, or look for unique pieces at Wayfair and The Oddities Haus. Update your apartment and enjoy yourself as you experiment with the newest decorating trends in your Charlottesville apartment! Keep up with the latest news & events at Carriage Hill! Carriage Hill living embodies Classic and Modern Living with spectacular Mountain views all year. Live in the lap of luxury with an exclusive grand clubhouse and amenities that defy comparison.